Love, Mrs. Mommy: Let Vive Health Support You During Your Mission Of Health and Play! Let Vive Health Support You During Your Mission Of Health and Play! Does your family like to play sports? If so, you know what comes with the territory… the unfortunate injury. No matter what it is, it's unpleasant you wish it didn’t happen. There are ways to make yourself more comfortable and to help the healing process thanks to Vive Health! I am excited to partner with them to tell you about the amazing products they offer! Vive Health offers a vast array of products that will help you during your recovery as well as support you during future sports and/or workout activities. They also offer everything from upper and lower body supports to stretching, strengthening and recovery aids to help with your physi­cal therapy. Plus, all their products are protected for a minimum of 60 days, but many are covered for years and/or life! 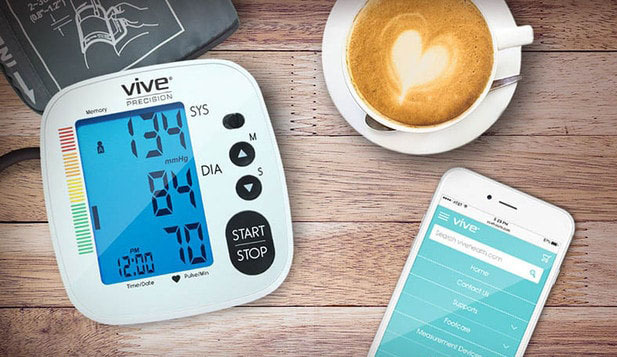 Vive Health also offers everyday health products such as; insoles, pads, guards, splints, blood pressure monitors, scales, thermometers, protectors, pulse oximeters and so much more! With so many wonderful products being offered at great prices, you will definitely be able to take care of yourself and your loved ones without breaking the bank! Let’s give a scenario that you hurt your elbow while playing tennis. You will be able to find braces and supports for on and off the court at Vive Health. This way, after you have recuperated, you can help keep your elbow supported while you play. Help keep injurys or strains at bay. Just recently a young family member of mine broke their leg while playing football. It was such a bad break that the sports medicine doctor said he never saw an injury like that before from football. It was pretty extreme! Fortunately, they re-set it and it's currently holding strong. If it keeps progressing this way he won’t have to have surgery, which would be wonderful! That’s a tough sport to play and an even tougher one to walk away from without any injuries. With a leg injury like that, you might need a knee brace and/or support for awhile. Most importantly it needs to be rehabbed properly so that you can get back to your old self. Vive Health offers products such as a balance disk, pedal exerciser, foot stretcher and more to help stretch and strengthen you back into shape. Whatever the injury, you want it to heal fast, correctly and be back to your good old self as soon as possible! Let Vive Health get you there and protect you and your family during future play on and off the court, or wherever else life takes you. With all the products they offer, you will surely find exactly what you need to help you on your mission. My grandbaby love's the youtube videos she watches them everyday allday. Sounds like they really have you covered!! So great that they help with rehab and injury prevention!! Super important for quality of life! I need to try some knee and ankle support. I don't do sports but I ache like I do. Great accessories and activities to use in order to stay healthy and active. My husband has been looking for a disc balancer. We hear they're great for the core! I also love the foot stretcher. Stretching my leg muscles can be difficult and this one looks like it makes the job easy! Thanks for the introduction! Smart information. Even if you know it, it is a great reminder!